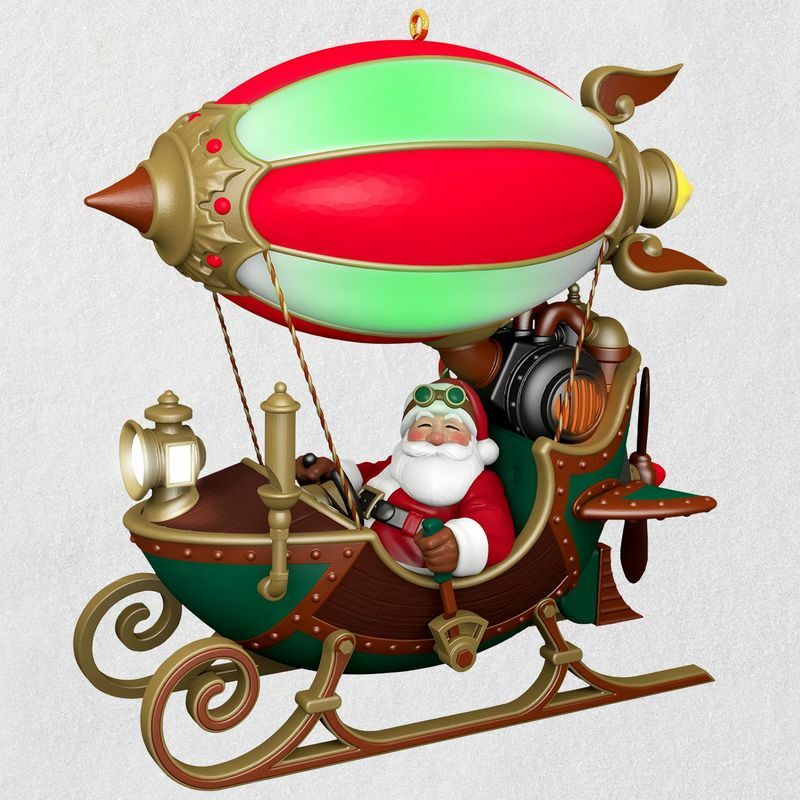 This inventive Santa has a creative way to travel that gives his reindeer a little rest. 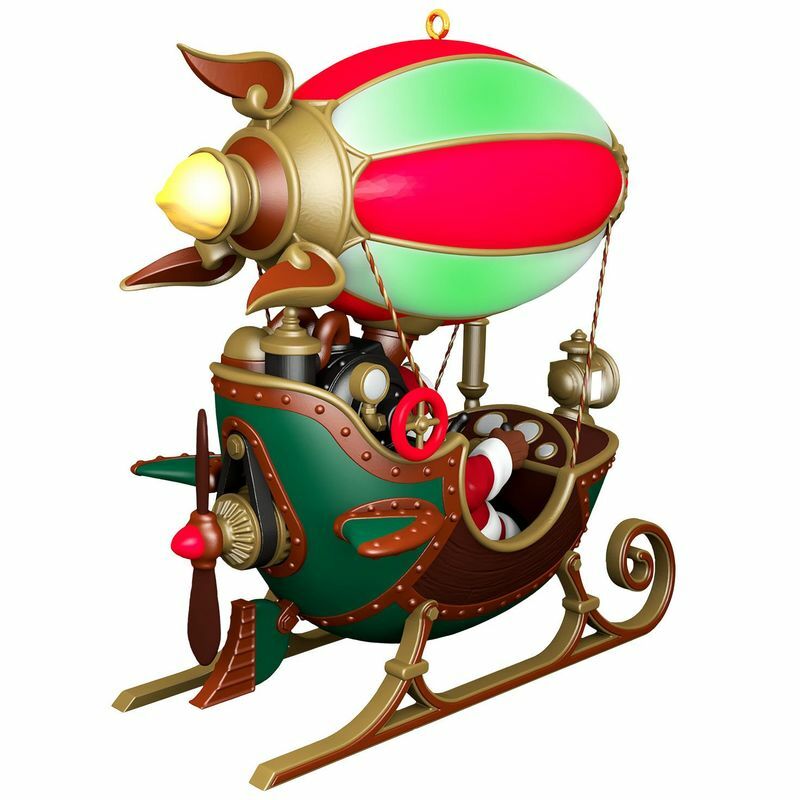 With a boiler-powered blimp attached to his sleigh, Santa can cruise the airways in steampunk style. Press the button on this Christmas tree ornament to make parts of the creative contraption glow. Connect the ornament to Hallmark's Keepsake Power Cord (sold separately) for continuous light. Magic Light Christmas tree ornament. Connect this ornament to Hallmark's Keepsake Power Cord to see the continuous light effect. Requires Hallmark's Keepsake Storyteller Cord (sold separately).